Photo Tip #29 - Is Instagram Good or Bad? 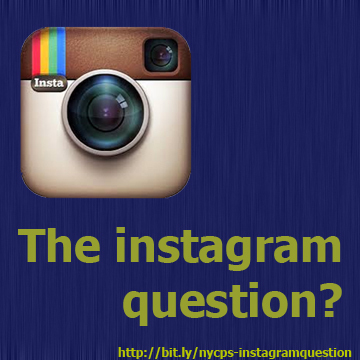 The questions regarding Instagram are as follows: are people over-using filters? And is this kind of sharing too much? I think there are those who are putting a little too much of themselves out there for the world to see without regard for their own future (i.e. potential employers and colleges) and without regard for the privacy of the people around them or their own. Short of this, I think photo sharing is great, as it is getting people to take a second and third look at their own surroundings. Often the result is a greater appreciation for everything around them. What’s not to like about that? It's certainly better than sitting in front of a video game. As for the question of over-using filters – since Instagram there has been a proliferation in the creation and use of electronic filters. There are more than a dozen apps offering dozens of filter choices. Is this a bad thing? On a recent photo safari, a participant asked if “real photographers” thought they were bogus. Through my experience with other pros, there are always “purists” who think every innovation in photography is bad. They say, “it’s not really photography”. They seem to have forgotten that when photography was invented, artists questioned whether photography was "real art". In the end, it should be the viewer who decides what is or is not a good photograph. Another way to ask the question is “is it good art?” Although it is also not for me to decide for others what is or isn’t good art, I do think a better question to be asking is, "Do I like it?" Nothing else matters – if a piece of art moves you or makes you feel happy then it is art. Likewise, if a filtered Instagram photo makes you happy, then “like” it.